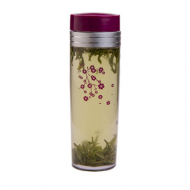 This dual wall borosilicate glass tea tumbler will keep your tea hot and hands cool. 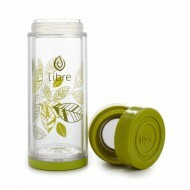 The fine mesh tea strainer screws right onto the base and strains out your tea, no matter how fine. 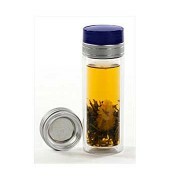 It can be used for both hot and iced tea. 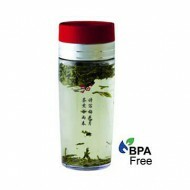 To use, remove the lid and strainer, add your tea and hot water then replace the lid strainer. 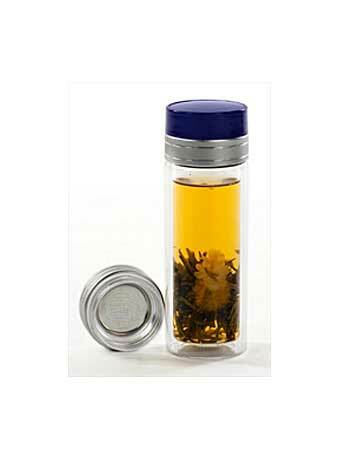 When your tea reaches the desired flavor and color, simply remove the lid and drink right out of the tumbler or pour into a cup. 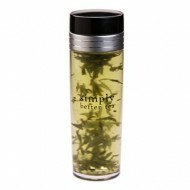 Add more water for a second infusion!